Sofos Jamaica, Spanish subsidiary of Sofos Energy specializing in photovoltaics has completed a self-consumption installation at the headquarters of the company Island Grill in the capital of the island. It is a PV system with zero injection that will produce 223,000 kWh per year and allow the catering company to achieve savings of 35% in its electricity bill. Jamaica has a “net balance” state program which provides that the installations under 100kW can feed excess kWh into the grid and collect the earnings in the next bill at a cost stipulated by the regulatory OUR, covering almost 100% of demand. In the case of the company Island Grill, a zero- injection mode was chosen (self-consumption installation interconnected to the network with no injection into the distribution network) was chosen because it is a system of over 100 kWn, specifically it has a nominal power (AC) of 120 kWn and a peak power (DC) of 144 kWp. In addition, six SMA Solar inverters STP 20000TL – EE for three-phase grids of 400 V and 50 Hz have been installed. The Jamaican government is firmly committed to the development of renewables to include it in the energy mix because it claims it will provide significant benefits for the productive sector and, by extension, to consumers. The island, benefited by the number of hours of sunshine and winds of the Caribbean Sea, expects to increase its renewable energy mix to 20% in 2030, but it is clearly committed to the development of photovoltaics. The Jamaican economy is based on agriculture and mining, although tourism is becoming increasingly important. And precisely for these sectors to be competitive, the cost of energy cannot be an obstacle, as neither can efficiency be. Therefore, the government is encouraging people to get involved in the generation of electricity from renewable sources in their own homes. About 3% of the Jamaican population live in places where there is no access to the grid and require to be supplied with renewable energy. Sofos is a business group highly specialized in turnkey commercial and industrial solar photovoltaic systems and was formally established in Jamaica in 2013, through its subsidiary Sofos Jamaica, specializing in the fields of turnkey commercial and industrial solar PV systems. Currently, it is building a dozen facilities in the country with a total power of some 3MW. In May 2014, Sofos opened the largest solar photovoltaic plant in Jamaica located on the rooftop of Hotel Grand Palladium Lady Hamilton Resort & Spa Lucea (Hanover). Over the past 10 years, Sofos has quickly become an international benchmark, after its inception in 2004 in Lleida. Currently it has offices in Spain, Jamaica, Mexico, Puerto Rico, Dominican Republic, Colombia, El Salvador and the United States. The Sofos Group has executed over 300 solar PV installations worldwide and dozens of facilities in the Caribbean since 2010. 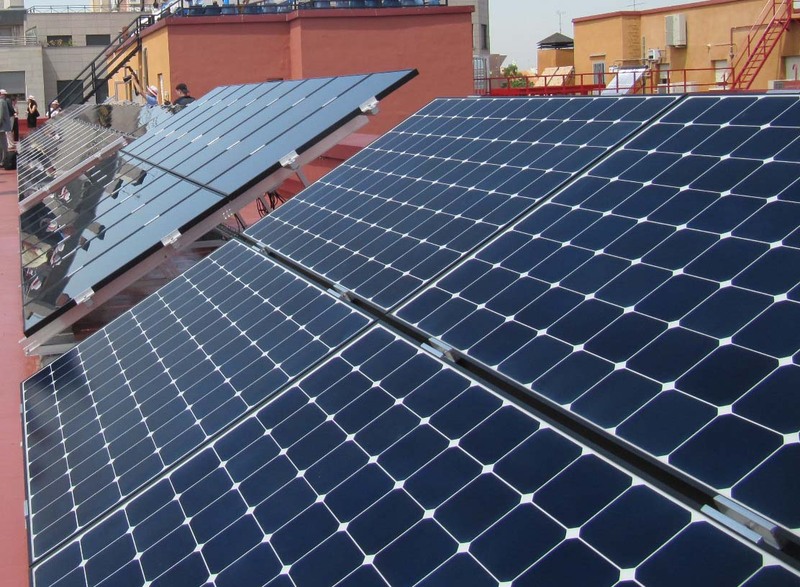 Photovoltaic association UNEF denounces before the Ombudsman the "tax on sun"